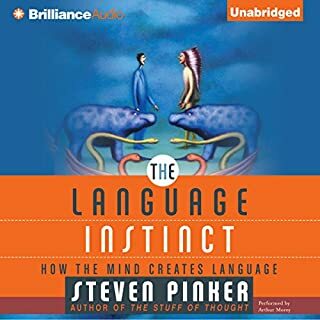 Steven Pinker is a world-famous scientist and "The Language Instinct" is one of his best known books; rightfully so. Alas, Arthur Morey reads as if trying to sound like one of those artificial voices that come with computers nowadays. No emotion. No sign of even understanding, of actually comprehending what he is reading. Just uttering the words as if every single one stood by itself with no connection to the others. I am deeply disappointed.